At the end of 2018, a revised immigration control law was approved in Japan. With this revision, Japan is to accept around 340,00 foreign workers a year. The government has an intention to compensate lack of workers with immigrants due to lack of young population for near future. 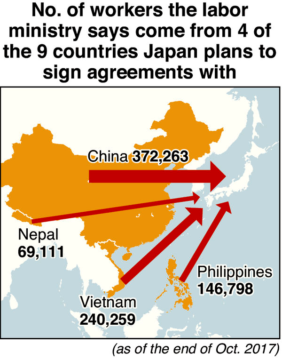 This revision is argued as controversial as Japan is still wary of accepting immigrants. Still, Japan should learn from some countries in EU which have been accepting a lot of immigrants and caused troubles or terrorist attacks: How should Japan treat them by learning from failures of EU countries in order to not only to compensate but also to co-exist with them?